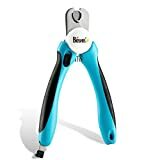 We really care about providing the best product and service for your best friend and are so confident about our pet nail clippers that we give you a free LIFETIME GUARANTEE or get all your money back if you are not completely satisfied. Light, simple and easy to use one handed to give super control. 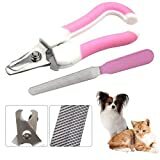 As our pet nail clippers are so light and small you can settle your pet in the most comfortable position making the job so much easier for you both. Sharp, thick stainless steel blades - durable and tested so it gives a clean sharp cut every time and does not split nails. Large finger holes - no more squashing your fingers through holes that are too small. We have left plenty of room. Rubbered inside the finger holes for maximum comfort. Our soft rubber means even a longer pet clipping session is still comfortable for you. Suitable for left and right handed use - often if you are left handed it can be very difficult so our design means that it is suitable for both. Our pet clippers will also help prevent your furniture getting scratched and save you a small fortune in repairs! 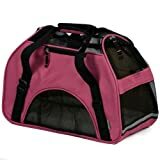 Free matching bonus storage bag to keep your pet nail clippers safe, secure and ready to hand when required. Free detailed reference instruction card to keep and refer to when tackling those claws. 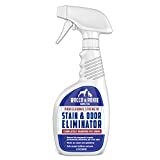 Plus add in the cost of NO pet grooming bills and it is a must for your grooming needs if you have a Kitten, Cat, Puppy or Small Breed Dog. We know you love your pet and are making a great decision doing business with our company. 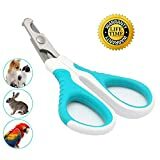 Try our pet nail clippers today by clicking the order button above and experience it for yourself ABSOLUTELY RISK FREE!. Warning - Do not use for other purpose except for pets. - Keep beyond children's touch. Designs and Features - Sharp blades are made of high quality stainless. - Unlock protection prevent children from using it. - Free Hidden Nail File conveniently stored in handle will allow you to polish sharp nails to perfection. - Safety stop blade greatly reduces the risk of cutting nails too short. 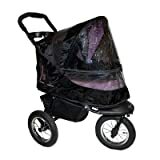 - Ergonomically designed non-slip handles are strong,lightweight,and comfortable. Trimming Tip - Hold the paw securely while trimming the nails.Quickly cut off the top of the nail with a single stroke. - Sure the handle at the bottom of the file to make the nail smooth. - Do not cut off too much each time.If the pet's nails are very long,cut off a small amount and wait about a week to ten days before cutting again.Repeat every week or ten days until nails are at desired length. 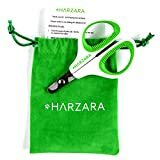 Product packaging: ♦ 1 ✖ nail clippers, 1 free nail file.the non-slip cover really help you easy and comfortable use the clippers to cut the nails of your pets. ♦ Sturdy, durable and lightweight to provide very long service time for you. ♦ Made of top grade stainless stell material. 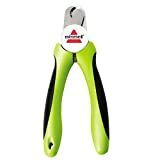 Resco Cat Nail Clippers are the professional's choice for nail trimming. Since 1937 Resco’s Cat Nail Clippers have been used by Groomers and Veterinarians worldwide and now they're available to you! 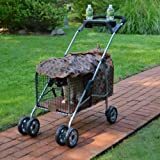 What sets Resco apart from the competition is their solid steel construction, easily replaceable cutting blades, and commitment to your pet’s health. Resco guarantees the cleanest cut in the industry – every time. What does a replaceable cutting blade mean for you? No more nail trimmer purchases! With your Resco Cat Nail Trimmer you’ll only need to replace your blade if it gets dull with the PF0400 or PF0440 Resco cutting blade replacement kit. Don’t be fooled by cheap imitations, Resco is the only American-Made, clinical grade, American-steel constructed nail trimmer on the market. Don’t believe us? Just ask your Vet! Choose the original, choose Resco. 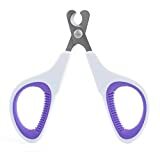 These pet claw clippers are designed with safety and comfortability in mind. Clipping pet nails prevents damage to furniture and also helps cats from snagging and getting stuck. The clippers are made with highest quality stainless steal and veterinarian grade sharpness and accuracy to assure the safety of your pet. The handle is made to ensure comfortability and control whether the user is right or left handed and coated with rubber grips to prevent any slipping or movement. Features: ★ Our nail trimmers are safe enough to be used either professionally or at home. ★ The stainless steel blade ensures a clean, precise cut. 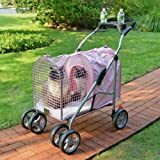 ★ A super grip handle prevents sliding or slipping while trimming your pet's nails. ★ No more painful trimmings. Only a single cut is needed with these nail clippers. 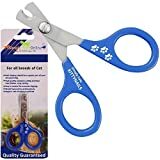 ★ Ideal for smaller animal : The nail trimmer is perfect and safe to use on Kittens, Cats, Small dogs, Rabbit, Guinea pigs, Hamsters, Birds and for most other small animals. Operation method: 1.Hold the pet's claws and then gently hold down the top of the nail and let your pet's nails come out. 2.Use your nail clippers to cut the pet's nails, Please carefully not to cut the blood vessels and nerves, if not carefully cut into the blood vessels and nerves, please immediately with the first aid to the pet to stop bleeding. 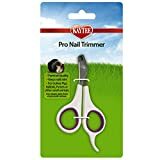 Professional quality nail clippers will help you feel comfortable trimming your pet’s nails. The built in angled safety guard prevents overcutting and the sharp stainless steel blades clip nails easily and cleanly. Also includes a nail File that stores in the handle that is great for smoothing rough edges. 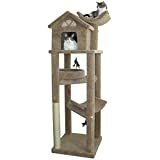 Works great for all sizes of dogs and for cats too.